The Antelope COLIBRI is a unique REAL-TIME deflicker solution compatible with highspeed camera systems of all brands. It completely eliminates interference between the flickering produced by most artificial lights and the high-speed frame-rate of the camera. The COLIBRI Deflicker removes the flicker/frame rate conflict in real time using our patent pending algorithm. The COLIBRI Deflicker takes one HDSDI signal and outputs a flicker-free feed in real-time without any visible artefacts. 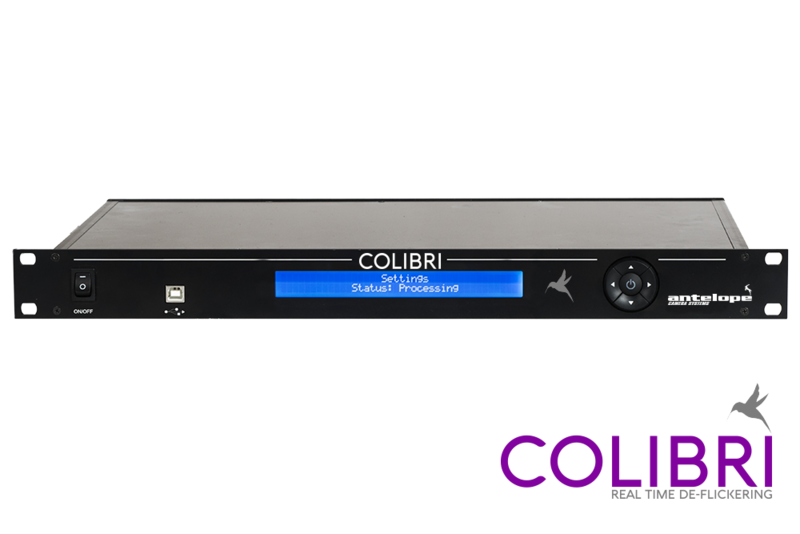 TV Shows with slow motion shots and outside broadcast productions are the perfect applications for the Colibri. It is FPGA-based, comes as a 1RU 19-type rack housing and can be mounted in OB-vans or studios. There is a variety of presets for different flicker situations. All adjustments can be done easily with the 5 button selector or can be entered with a remote control via RS 485.